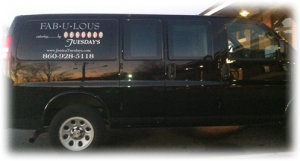 Whether you want a memorable dinner for 20 or a gala affair for over 100, FAB•U•LOUS Catering will bring a new level of taste, elegance and fun to your party. We pledge our reputation for integrity and reliability throughout every stage of planning. We listen closely to your individual preferences and needs so that we can best translate them into a truly memorable experience for you and your guests. At FAB•U•LOUS Catering, our business is your pleasure! We look forward to celebrating it with you.